Flooding is a serious problem in Illinois, and one that can cause thousands upon thousands of dollars in water damage. If there is a serious flood, there isn’t much to be done but evacuate. For more moderate flood risks, though, there is something you can do: install a commercial sump pump. Commercial sump pumps can prevent areas of your building from flooding, saving you a great deal of money on repairs. If you’d like to know more about sump pumps, or would like to schedule an appointment, call Embrich Plumbing Co today. We provide a full range of commercial sump pump services throughout Collinsville, IL. 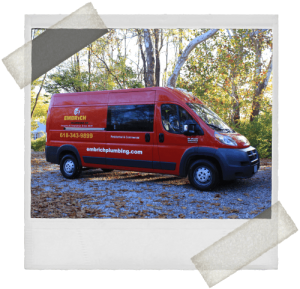 Embrich Plumbing Co provides commercial sump pump services in Collinsville, IL and the surrounding areas. WHAT IS A COMMERCIAL SUMP PUMP? A sump pump is a device designed to prevent an area from flooding by constantly removing water from it before it can rise. First, a pit is dug at the lowest point of the area. This is called the "sump." Next, the pump is installed either in or right above the sump. A pipe is laid from the sump pump out of the building, providing an exit route for the water. Then, the pump is hooked up the electrical system and it’s ready to go. Commercial sump pumps are widely employed in buildings across the country that experience frequent rainfall. The areas that are most vulnerable to flooding are places like basements and crawlspaces. Any room or space that is largely below–ground is liable to flood during even moderate rainfall if there is inadequate drainage or other issues. A sump pump is essentially a contingency plan to ensure that part of your building doesn’t flood unexpectedly. It may seem unnecessary or trivial, but you’ll certainly appreciate it when it saves you from spending thousands of dollars on repairing water damage to the area. Most of the time, fixing the architectural vulnerabilities that lead to flooding in these areas would be quite expensive. A sump pump is a faster, cheaper, and more convenient way to ensure that your building is protected. Installing a commercial sump pump is something that should always be left to a professional. For one thing, properly excavating the sump and laying the pipe is going to require specialized knowledge to be done properly. For another, interacting with a building’s electrical grid without professional training can be incredibly dangerous. If you need a commercial sump pump installed in your building, trust us to handle it for you. Commercial sump pumps run into problems just as often as any other system, which is why we offer a full range of repair and maintenance services. If you have reason to suspect that your commercial sump pump isn’t operating properly, call Embrich Plumbing Co today and schedule an appointment. We’ll make sure that your commercial sump pump isn’t just installed properly, but that it serves you well for many years to come.